While many bands can boast about their longevity, few bands can boast about both their longevity and consistent members. Formed in 2003 by drummer Steve Wolz and vocalist Helena Iren Michaelsen, Imperia has had the same cast of musicians from their inception. But it's been sometime since we've heard from, 2015's Tears Of Silence. Now Imperia returns with their latest and fifth studio album, Flames Of Eternity, featuring album art by band guitarist Jan Örkki Yrlund. Simply, Imperia plays symphonic heavy power metal. Sometimes they're referred to as a "gothic" metal band as well, but that's probably an unnecessary nuance. Mostly, the Imperia sound can be described as epic, lavish, and bombastic. Synth orchestration embellishes a wall of riffage, blistering guitar solos, a raging rhythm section and, of course, Ms Michaelsen's moderately operatic vocal style. In the mix you'll find lines of acoustic guitar, light piano, natural violin, and what sounds like a flute or lute. These elements construct songs that range from extravagant symphonic metal (The Scarred Soul, Blinded, The Ocean) to sublime ballad (Beauty Within, A Crying Heart, Mother) to power metal rock (Unspoken Words). Some folk metal influences flow through the song Otherside. Essentially then, Imperia's Flames Of Eternity is more of the band's gargantuan and grand symphonic heavy power metal, and they're very good at it. Recommended if you love the genre. 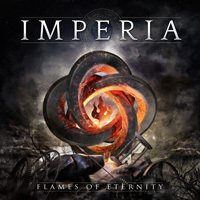 Imperia's Flames Of Eternity is more of the band's gargantuan and grand symphonic heavy power metal, and they're very good at it. 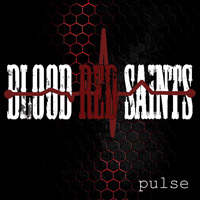 Recommended if you love the genre.